It’s an extreme heat day today in Central Florida – with the heat index, temps are likely to climb up to 105. Local news stations are warning residents to limit their time outside and avoid the sun. It’s not too difficult to protect yourself from the heat (just aim for air-conditioning whenever possible), but how do you protect your ride? 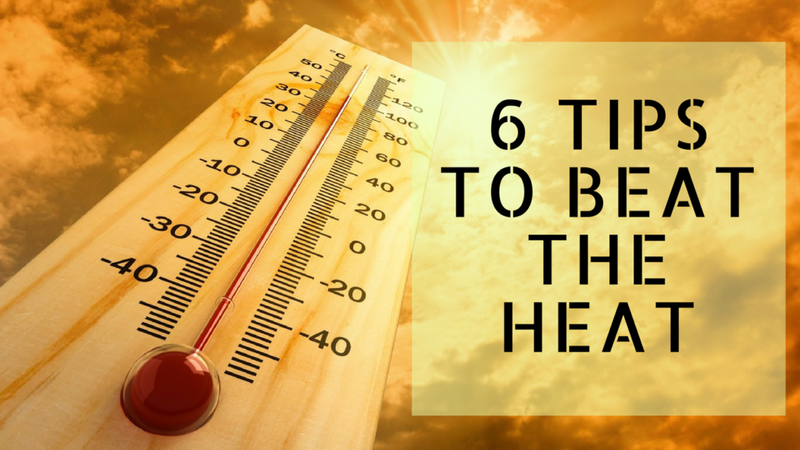 Extreme heat can also be damaging to your vehicle and our Orlando Toyota service techs are here with 6 tips to help you protect your vehicle through the summer. Tip #1: Buy a sunshade for the windshield and get your windows tinted. The best way to protect your car’s interior from the heat and sun is to tint your windows and buy a good sunshade. (We can help you with both at our Orlando Toyota service center). Tint and a sunshade will prevent UV rays from fading your car’s interior and will also help to keep the cabin cooler so when it’s time for you to get behind the wheel, it’s not unbearably hot. Tip #2: Crack your windows. Crack your windows when it’s extremely hot outside! This lets heat escape the cabin so it’s not quite as stifling. However, make sure that you’re parked under the shade OR that you have window rain guards installed in case of those notorious summer thunderstorms we get here in Central Florida. Tip #3: Park in the shade whenever possible. Even if you have rain guards and tint and a sunshade, it’s still best to park in the shade whenever you can. This will help protect the interior but also help to protect your paint from fading AND keep the interior cooler. Tip #4: Condition leather seats. You want to keep your leather well-conditioned so the heat doesn’t dry it out and subsequently, cause it to crack or tear. Apply conditioner regularly and also consider seat covers; these will help protect your seats from the sun. Tip #5: Stay up to date on all auto service. It’s essential to stay on top of routine Toyota service to keep everything under the hood cool. This means getting routine oil changes, checking your coolant, making sure your tires are in good condition, and inspecting your battery on a regular basis. Everything under the hood can be negatively affected by extreme heat, so ensure you stay on your Toyota service schedule and take note of anything out of the ordinary. Tip #6: Detail the exterior regularly. It’s important to protect your paint from the heat, which can damage and fade it. Make sure you routinely wash your can and apply protective wax to prevent damage. Need supplies or want to ensure you’re up to date on routine car maintenance? Call Toyota of Orlando today! Our Toyota service center is open seven days a week at (407) 298-0001 and we’re ready to help you beat the heat this summer!